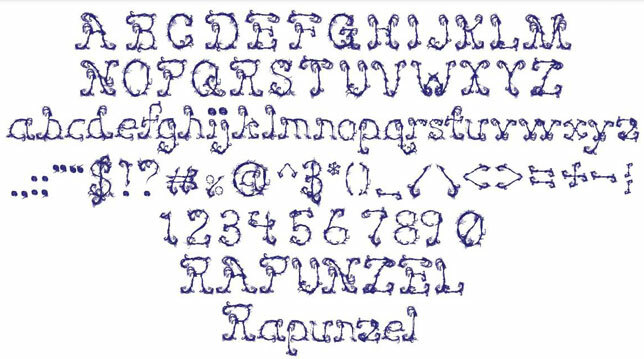 Concept: Rapunzel, Let Your Hair Down… is exactly what the typeface says. This whimsical ornate movement created in the font shows the wild beauty of hair in the structure and consistency of a decorative font. With a creative eye and extreme focus on detail this expressive typeface is have evolved to a very expressive font.